In 1835 the LDS Church purchased some ancient Egyptian papyrus scrolls, which Joseph Smith claimed were writings of the biblical patriarchs Abraham and Joseph. In 1842 Joseph Smith published his “translation” of part of the Abraham scroll as the LDS scripture called the Book of Abraham. In 1967 papyri from that collection came to light, and both LDS and non-LDS scholars translated them and discovered that the papyri were Egyptian funerary texts and had nothing to do with Abraham. 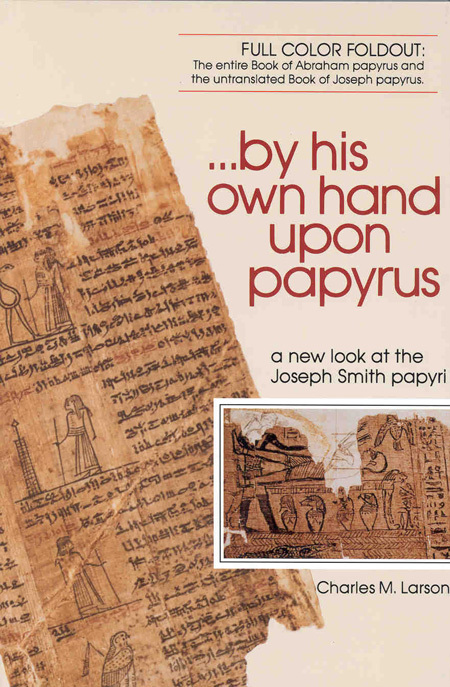 This book reviews the history of the papyri, documents that the surviving pieces of the papyri include material that Joseph Smith claimed to translate as the Book of Abraham, and critiques LDS attempts to explain the problems. Includes the first ever published full-color photographs of the “Book of Abraham” papyrus as well as the untranslated and unpublished “Book of Joseph” papyrus on a 9” x 22” pull-out page. LDS Egyptologist Stephen E. Thompson said that this book is “far more accurate than anything Hugh Nibley ever wrote on the subject.” You can read a review of this book on IRR.org for more information. 240 pages.